Celebrate summer with blue and green icicle lights. Decorate the roofline, patios, and fences for pool parties, barbecues, and more with these energy efficient LED lights. Durable construction and a weather resistant design means you can use them for many different celebrations over the years. Make your next party memorable with these brilliant icicle lights! It is way to early to review the lights; at face value just plugging them in they appear fine. As far as recommending them to someone else, there is no reason not to based on my just plugging them in. The color was vivid and what I was expecting. 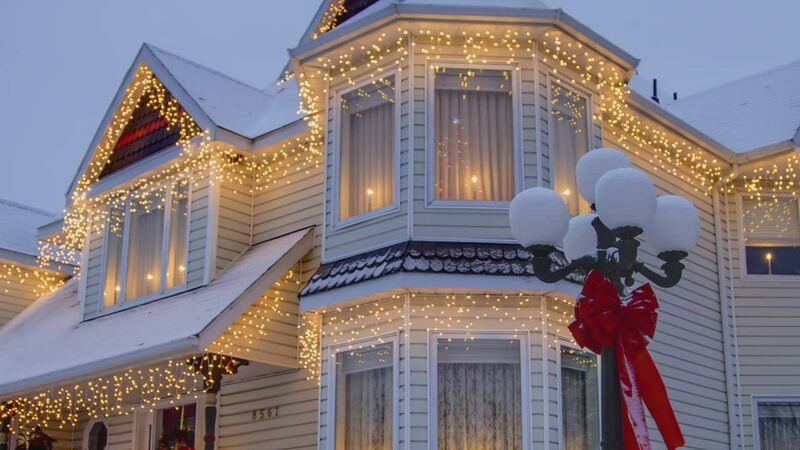 These are great looking lights and give a nice touch to the Christmas season. Perfect bright blue and green lights for showing my support for the Seattle Seahawks! Nice bright lights!! From a distance looks more blue than green. I bought 12 sets of lights from Home Depot about 4-5 years ago. Four of those sets have issues so I bought these as a replacement. The lights have been up for about a week now. They are working great. These new lights are a little brighter then the old, but look OK for now. I will replace the rest of the lights next year with these.